If you had a two-story house and could only choose one baby safety item, what would it be? Would it be the latches on your cabinets or the plastic covers for your electrical outlets? 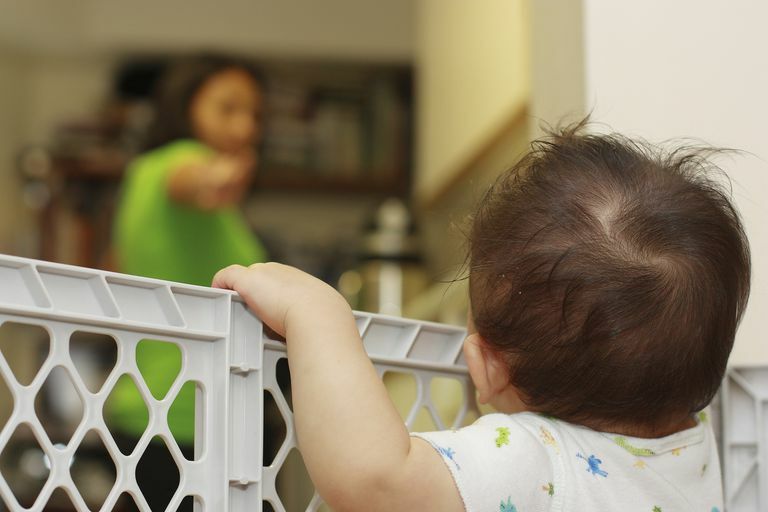 For many parents, a baby gate would be their top pick for getting their home childproofed. After all, you can almost guarantee that your baby is going to want to climb the stairs in your home and that there will be a fall. Although many people would argue that a smoke alarm is the more important safety device, a baby gate is important too. Fortunately, most parents aren't limited to just one item when childproofing their home. A baby gate is essential if you have stairs. Baby safety gates can help ensure that your crawling and walking infant or toddler doesn't fall down the stairs. Use a baby gate both at the bottom and top of the stairs. Use a baby gate that actually screws into the wall, especially at the top of the stairs, since these are more secure than other pressure-mounted baby safety gates. Keep items that your toddler could use to climb over the gate away from the gate. Consider getting a configurable baby gate with extensions if your stairs have a wide landing. Put the gates up by the time your child is five or six months old and before he is crawling and walking. Keep the gates up until you are convinced that your child can walk up and down the stairs safely, usually at around three years of age (after which time he will likely learn how to bypass the gate anyway). Baby safety gates are also a good way to keep your toddler in his room once he goes to bed. If he wakes up in the middle of the night, a gate will prevent him from being able to come to your room, which typically creates a habit of continuing to wake up.